More and more people do most of their shopping online. They shop for gifts, books, appliances, apparel, makeup and even food. These days, almost everything can be found on the internet, almost everything is sold online, and almost everyone has a credit card and/or a PayPal account. 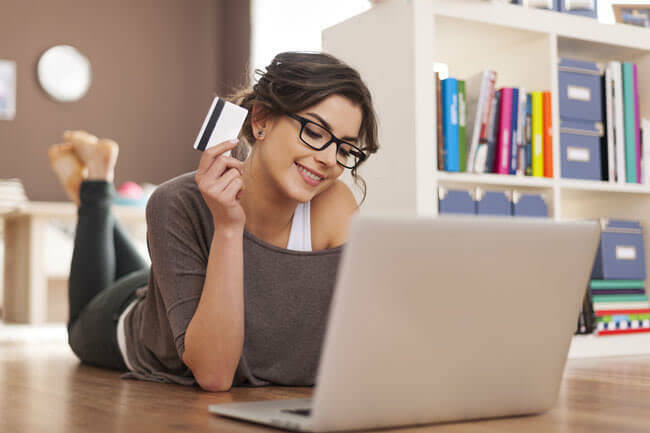 Shopping online is incredibly convenient and definitely much less frustrating than actually getting out of the chair or bed, leaving the house, driving to the mall or a store and then waiting in long queues at the register. Many retailers, even many family-owned, “mom and pop”-style businesses have online stores these days and the technology for processing payments is simpler than ever. However, online shopping, as popular as it is, is not without its risks. 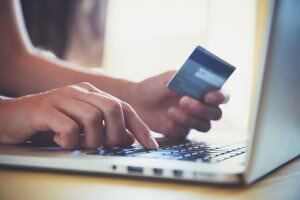 We are definitely not saying you should never buy anything online, but what we’re trying to do with this article is to remind you that there are ways to shop online and stay safe while doing so, protecting your personal information, your bank account and, ultimately, your privacy. The main concern when it comes to online shopping is someone stealing your passwords, credit card number, and other sensitive data, as well as your entire identity. When we purchase something online, we are asked to give away sensitive information, trusting that the store is reliable and trustworthy and that it will not abuse our personal information. In most cases, it most certainly won’t, mostly because that would be a serious federal crime. However, it is not the online stores themselves that pose the real danger – in many cases, it is the intruders and impostors pretending to be those stores. Cyber-criminals sometimes create pages that look exactly like certain well-known, trusted websites and stores. You either stumble upon them by mistake or you get redirected. Either way, you think you are on a legitimate page, you type in your information and it gets stolen. You may even end up with an emptied bank account. One way to prevent this is by always double-checking the URL or the website address. Some browsers will show you the preview of the page in the lower left corner if you hover over the address, so you might want to try that too. Also, being asked to log in twice is always a red flag, because it is a sign you’re being redirected to a malicious website that intends to steal your information. Another important thing to bear in mind is that public Wi-Fi hotspots, no matter how convenient they are, can be risky. You may be tempted to do some shopping as you sip on a cup of cappuccino in a café or as you wait for the bus, but unless you have some sort of protection on your device and your connection, you might want to rethink that and wait until you get home. The problem with hotspots is that they are not very safe. A person intending to steal information can easily set up a connection that looks just like a regular hotspot and can then intercept and steal any data traveling through that network. Another excellent way of protecting yourself when buying things online is to use a Virtual Private Network or VPN. 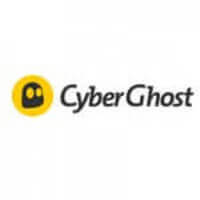 There are some excellent VPN service providers out there, and many of them pay particular attention to online security, like these safest VPN providers right here. But how exactly does VPN help you stay safe while shopping online? First of all, a VPN provides a powerful layer of security. Your data, such as your name, location, age, zip code and, most importantly, credit card number, travels through a tunnel of sorts before reaching its destination. That way, your privacy and your data are protected from hackers and other intruders who wish to rob you of your money and identity. Also, if you wish to buy something anonymously, a VPN allows you just that. One important job of a VPN is to protect your privacy and anonymity. If you pay using a method that does not reveal your identity, such as Bitcoin and some other payment methods, and if you opt for a VPN that does not keep any user logs, there is no way anyone in the world, no matter how powerful they are, be it a government agency or your wife, can figure out just what you purchased, where and when. Of course, you should never use this to do or buy anything illegal. But everyone in this world needs and deserves a little privacy, and that is just what you’re getting with a VPN. There is another thing that makes VPNs useful for online shopping. You know how sometimes stores and retailers reserve certain deals and promotions only for certain areas? It can be an entire country or a region, perhaps even just a certain city. Those can be some excellent deals, but what’s the use if they are off limits to you due to your location? Well, one of the things you can do with a VPN is change your IP address and set it to a different location. Say you saw a sweet deal for a Hermes bag or the pair of the latest Kanye West shoes, but it’s only offered to folks in California, and you live in Baltimore. All you have to do is change your IP by connecting to a server in California, and that bag and shoes are yours! As you can see, the risks of online shopping can be dramatically reduced using a VPN. A VPN is an essential security measure that everyone should use in this day and age, when there are so many dangers lurking even from the most innocent-looking websites, such as your favorite online retailer.